Happy faces? They should be! 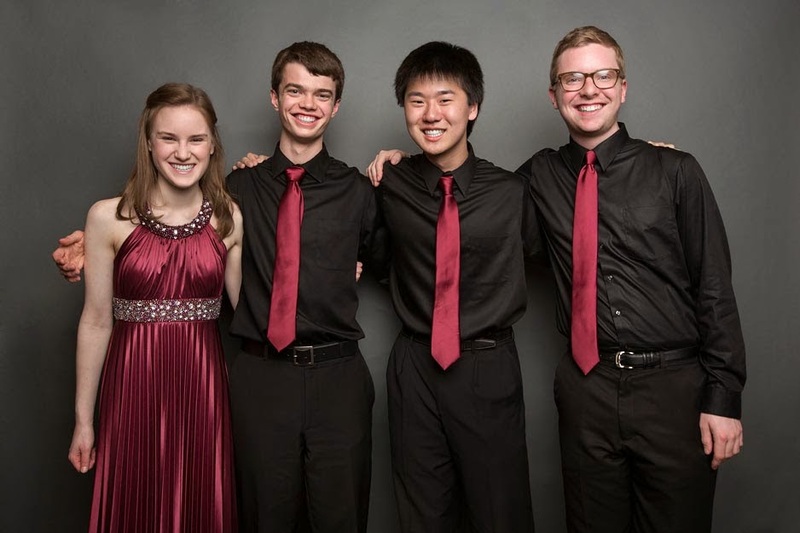 They just won the coveted gold medal at the Fischoff National Chamber Music Competition that is held over Mother's Day weekend in South Bend, Indiana, at the beautiful DeBartolo Performing Arts Center on the Notre Dame campus. 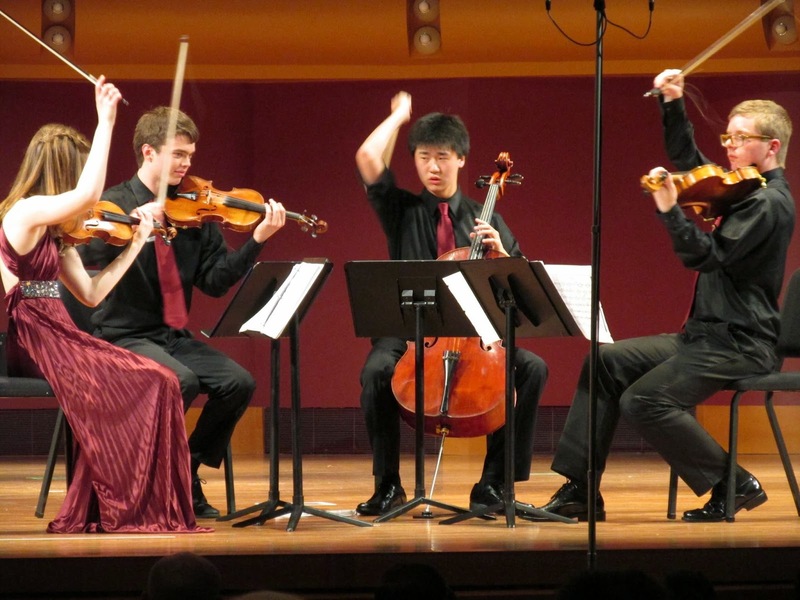 Kudos to Rachel Stenzel and Aidan Perreault, violins, Christopher Gao, cello, and David Berghoff, viola! They worked very hard! They were selected by a screening committee to be one of 24 groups out of 61 entries nation-wide to compete in the quarter finals on Friday, an honor shared by three other MYA chamber music ensembles. Their performance on Friday convinced the Junior Judging panel of 8 that they should be one of 12 groups to move to the semi-finals on Saturday (along with another MYA group: Masha Lakisova, violin, Haddan Kay, cello, and Derek Chung, piano). They impressed a panel of 12 Junior and Senior Jurors that they should advance to the final three to compete for medals on Sunday (along with groups from the Colburn School and Music Institute of Chicago). Experience (they have been in MYA a combined total of 33 years! and have entered and performed at this competition before), a winning program (Brahms, Beethoven and Bartok!) and a performance which captivated the audience and led 8 Senior Jurors to select their Quartet Fuoco as this year's Gold Medalists! MYA now has nurtured 17 medalist winners since 1994. We are very proud and humbled to have the privilege of working with these young people and watching them grow and develop over their years at MYA. Chris and Aiden will be back for one more year. Rachel will be attending Cleveland Institute of Music as a violin major in the fall. David will be studying music and computer science at Rice University in Houston.